Located on the paradisiacal island of Hawaii, the Mauna Kea Beach Hotel designed by Skidmore, Owings and Merrill (SOM) has been critically acclaimed by architectural experts and luxury aficionados for its modest yet stunning elegance. In celebration of its classic design and architectural beauty, the hotel has launched a microsite where tourists can read about the resort’s history, virtually explore its modernist look, and take a sneak peak at hotel founder Laurance S. Rockefeller’s private 1,600-piece art collection. 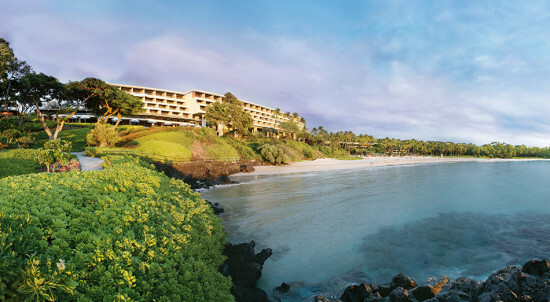 Named for the million-year-old Mauna Kea volcano, the 258-room hotel was designed by SOM’s Edward Charles Bassett. When it opened its doors in 1965, it was immediately considered one of the nation’s most exclusive hotels. A 2006 Hawaii earthquake ravaged the island’s coast and caused severe structural damage to the hotel, closing the resort for the next two years. In December 2008, after tedious renovation efforts and $150 million in restoration expenses, the Mauna Kea re-opened its doors with a warm aloha spirit. Rockefeller wanted the Mauna Kea to embody a blend of cultures at the heart of the bucolic Hawaiian islands. His desire was not to alter the landscape, but rather to have the hotel blend into its surroundings. The hotel’s design follows the land’s natural shapes and curves and incorporates lava rock within the hotel’s structure. In 2007, the hotel received an Honor Award from the American Institute of Architects (AIA) in recognition of its unique open-air design, natural ventilation system, and oceanfront accessibility. The Mauna Kea art collection, distributed throughout the hotel, encompasses 1,600 pieces originating from Art from India, Southeast Asia, China, Japan, Melanesia, and Polynesia.